Successfully Added TOKQI Smart Flowerpot - Bluetooth Speaker, 90dB, 1200mAh, Color Light, Use Your Flower As A Musical Instrument to your Shopping Cart. Early research has shown that plants grow and bloom faster when exposed to soothing classical music. 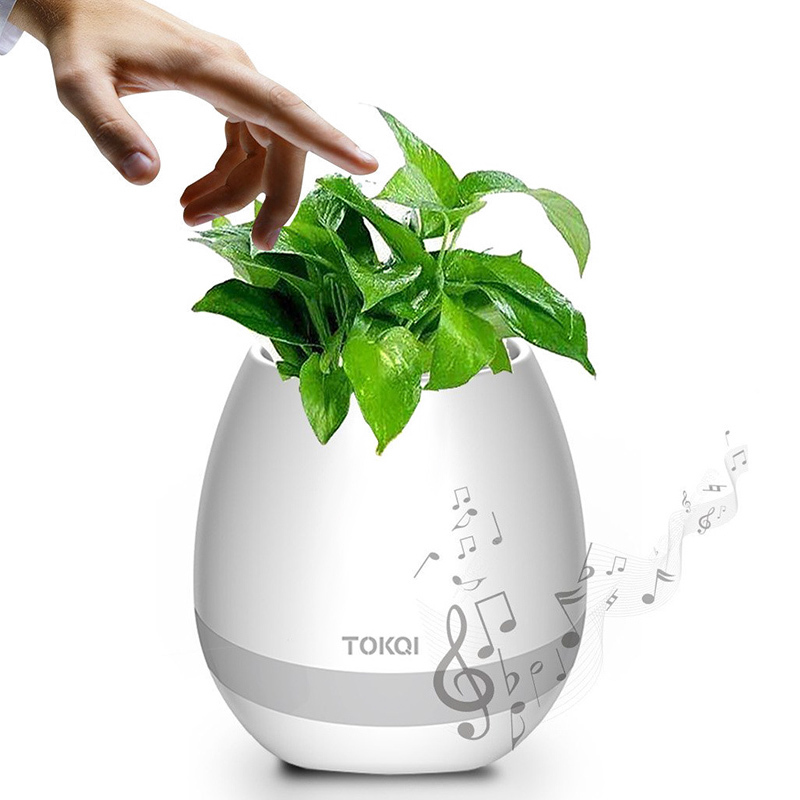 With this cool electronic gadget, you’ll be able to play music to your plants at any time. Thanks to this, your plants are likely to grow faster and bloom like never before. From now on, you can listen to music, play tunes, and enjoy the presence of your beautiful plants all at once. This smart flowerpot is a great gizmo for any modern household or child’s bedroom. It allows children to learn about music while simultaneously appreciating the beauty that nature has to offer. Your smart flowerpot Bluetooth speaker features an intergraded color light within its stylish body. This LED lamp changes color according to the rhythm of the music that is playing. Additionally, you’ll be able to set it to one single color. With this cool feature, your Bluetooth speaker allows you to set the right mood for any occasion. It comes packed with a 1200mAh cell that brings along 12h of music playing time. Therefore, you’ll be able to enjoy your favorite songs and treat your flowers with some classical tunes throughout the day. With its 10m Bluetooth support, the TOKQI Smart Flowerpot brings along great mobility. You’ll be able to move around through the house without disturbing the quality of your music. This smart flower pot comes with a 12 months warranty, brought to you by the leader in electronic devices as well as wholesale electronic gadgets..